Another brisk frosty morning, although somewhat treacherous underfoot, conditions as Elma found last week ideal for photographing. 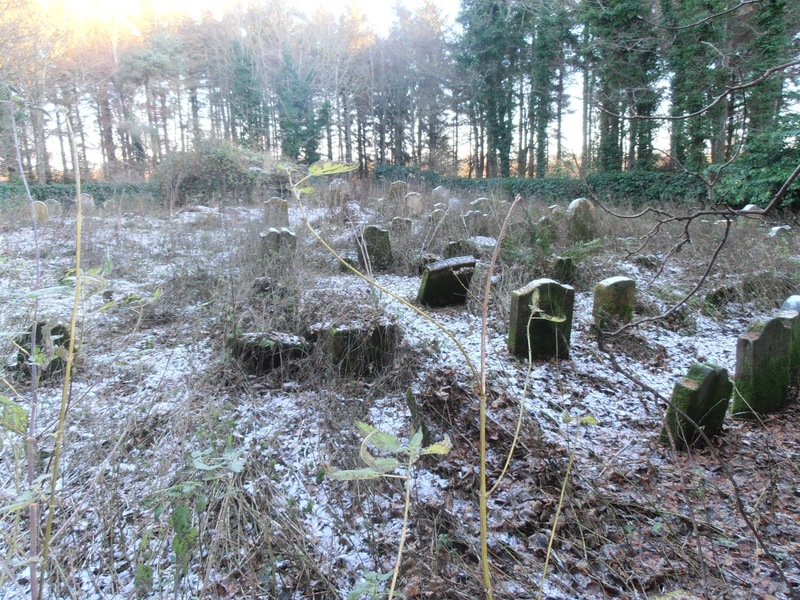 Made my way to the old graveyards on Langton Estate (above) which is situated in a heavily wooded area so much so that I even had some difficulty finding. The original church at Langton was abandoned in1798 when the new Church was built although the graveyard continued to be used up until something like 1868. 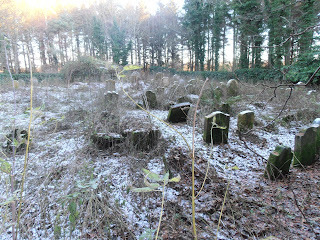 As can be seen in the photograph it is now in an advanced state of decay and a great many of the stones (there must be perhaps 100 in all) are heavily overgrown with moss. This is a Churchyard which we have not yet transcribed but which we should certainly looking to do although this would have to be in the early part of the year before it is again enveloped in vegetation. My purpose in visiting was principally to track down a particular inscription for a member - unfortunately I was unsuccessful in this although it may well be there under the moss. Incidentally we have recently agreed a new facility whereby (within reason) we can, on request, photograph any particular stone in any of the Border graveyards and send electronically as an attachment. We do however make a small charge of £5 for this service. To request a photo go to our Contacts Pages, scroll down to 'gravestone recording' and send your request.